Most people do not include golf with, say, football, baseball, basketball and ice hockey when it comes to the physicality of each sport. They think golf is a kind of sissy sport where both men and women walk or drive around a golf course whacking a little white ball around until they get it in the hole. That is actually the furthest from the truth than they can even imagine.Some injuries that occur with golf may not be as drastic or as serious as some injuries incurred with the more physical sports listed above but golf related injuries are just as rampant as those with other more physical sports, especially with the golf swing and back pain. Rarely does a day go by when I don’t see someone on the golf course or the driving range or in the clubhouse after playing a round of golf complaining about all their aches and pains, especially back pain. I don’t know if a lot of golfers bring preexisting back pain to the golf course or if they actually agitate their backs while actually going through all the golf motions associated with the game of golf. The good news is that there are many exercises that can actually eliminate your golf swing back pain for good. These simple golf exercises will not only eliminate your back pain but also increase your endurance so you can play longer if you wish. They will also improve your flexibility and strength so you will create a much smoother golf swing and hopefully add some distance. Let me just start by saying if you feel as though you need more help with your golf back pain and other golf related issues you could go to just about any gym where they can get you set up with a golf specific set of golf exercises that could help you tremendously. Lay on the floor on your stomach with your hands by your side, now lift your shoulders and head and your legs off the floor simultaneously and hold for ten seconds, do three sets of these. the plank: Still on your stomach, lift your self up on your elbows and toes so your chest, back and legs are off the floor, be sure to keep your back straight. This will engage your core muscles and strengthen the muscles around your lower back, hold this position as long as you can, do this every day until you can hold it for one minute. 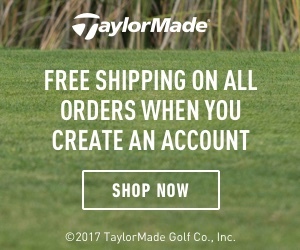 You will be amazed at the difference this will make in your golf turn. Grab two dumbbells five pounds but no higher than ten pounds, you want lean muscles not bulky muscles for a smooth golf swing, bring the dumbbells up to your shoulders and then up to the sky, repeat this ten times and do three sets. As you know golf requires a tremendous amount of walking whether you are walking the golf course or riding in a cart so it is imperative that you work on your legs. If,you do not have a place to walk you might want to consider getting a treadmill. This will really help your stamina so you do not run out of gas while you are out on the golf course. Another thing to keep into consideration is fluids. Most often than not golf is played in warm temperatures where hydration is of the utmost importance, so please drink plenty of fluids when playing golf. On a day you are going to play a round of golf I strongly recommend that you arrive at the golf course early so that you have adequate time to get your golf shoes on, do some stretching and take some golf swings. So let’s get to stretching. The first stretch will be to grab a golf club with both hands and bend at the waist and try to touch your toes, do this until you think your back feels loosened up. Next hold the club behind your back and rotate your body back and forth in a slow motion therefore loosening up your torso and core, next hold the behind your neck and rotate your shoulders back and forth therefore loosening up your shoulders. The next thing you will want to do is go to the range and starting with your pitching wedge go through your entire golf bag hitting a few shots with each club. Just remember, especially when you get to your driver, just take nice easy golf swings, you only want to warm up here not wear yourself out. Now go to the putting green a practice some putting for about five or ten minutes to get the speed of the greens down. You are now ready for the first tee and hopefully an awesome round of golf. I hope all the information on this page will be very useful to you for improving your golf swing and back pain and other related golf injuries. If so please feel free to leave me a comment below and I will get back to you as soon as possible, also if you have any questions about any golf related I will certainly try to answer them for you. Hi Robert, I just came across your article as I was looking to help my dad. He is a golfer but he is suffering from terrible back pain. I will forward your article to him, I am sure this will help him. Thanks for sharing! My husband is a golfer and he is starting to feel pain in his back. I doubt if he does the stretching before actually start practising! I think I am going to force him and make sure that he is following everything he should do! I agree with you back pain can be a problem with golfers. I know some with knee problems as well, so it is important to stretch regularly and do the exercises as you suggest. It’s a physical sport despite what non-golfers think but it can be good too as long as proper care is taken. Great post. 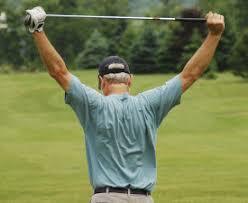 I enjoy golfing in my spare time and so it is interesting to hear about the effects it can have on your back. It is always good to stay in shape in order to stay healthy, thank you! oh that is a common task, and mostly golfers suffer this problem. Yes it is, but there are many ways around avoiding golf related back pain.